Say goodbye to paper forms and complicated spreadsheets. With fast online holiday approval, employee holiday planning has never been so easy. Our employee leave management software provides small businesses with a central and seamless system. 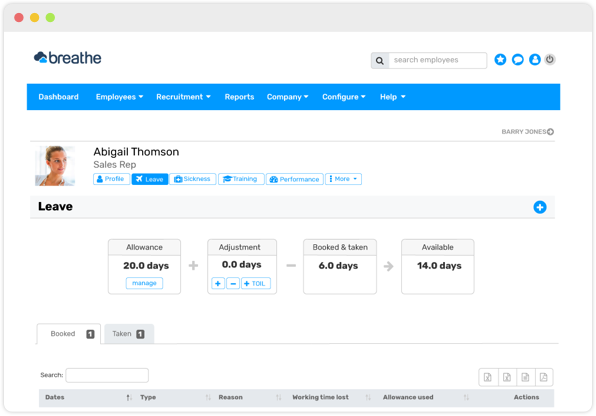 With employee self-service for holiday requests, quick and easy manager approval, and a central calendar record so that you always know who is supposed to be in, the struggles of absence management are a thing of the past. Simple calculations. Book from anywhere. Being able to instantly view an employee holiday allowance makes managing requests easy and efficient. Employees can have a clear overview of how their holiday is calculated and will always know how many days they have left for the year. With a fast online holiday approval process, employees and managers alike will notice a huge difference in making requests. Simple & Quick. Employee self-service. 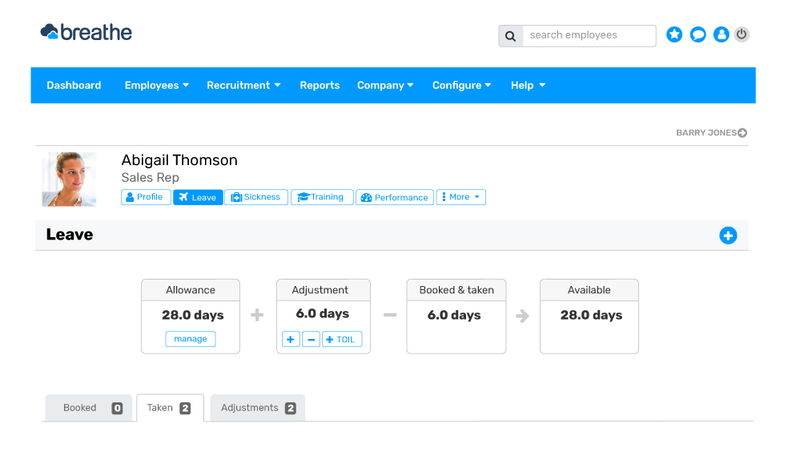 Using self-service, employees can request holiday, managers can quickly approve it and a central record is kept so you know exactly when your team members are on leave. 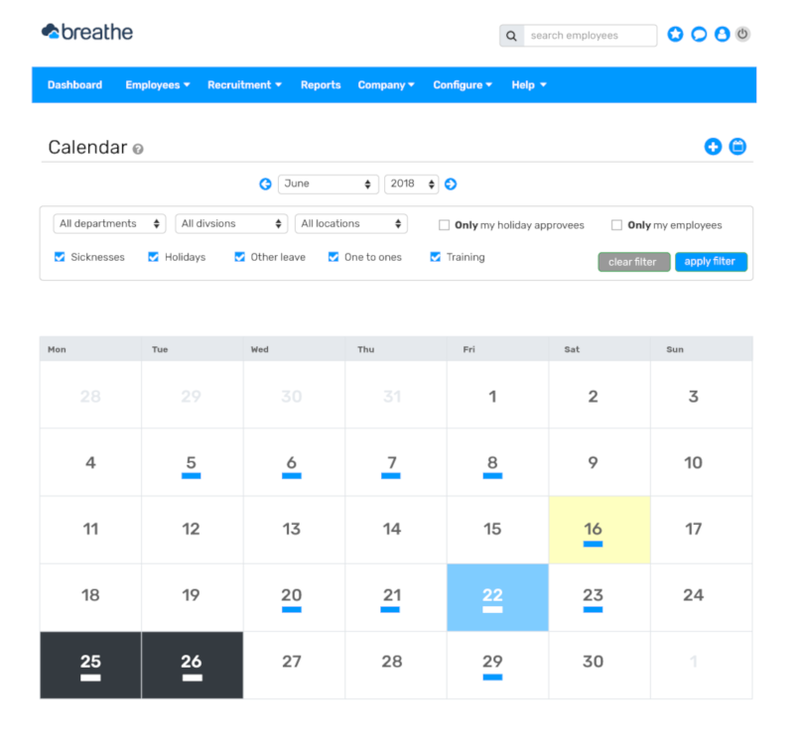 You’ll always know where your team is with Breathe’s central annual leave calendar. 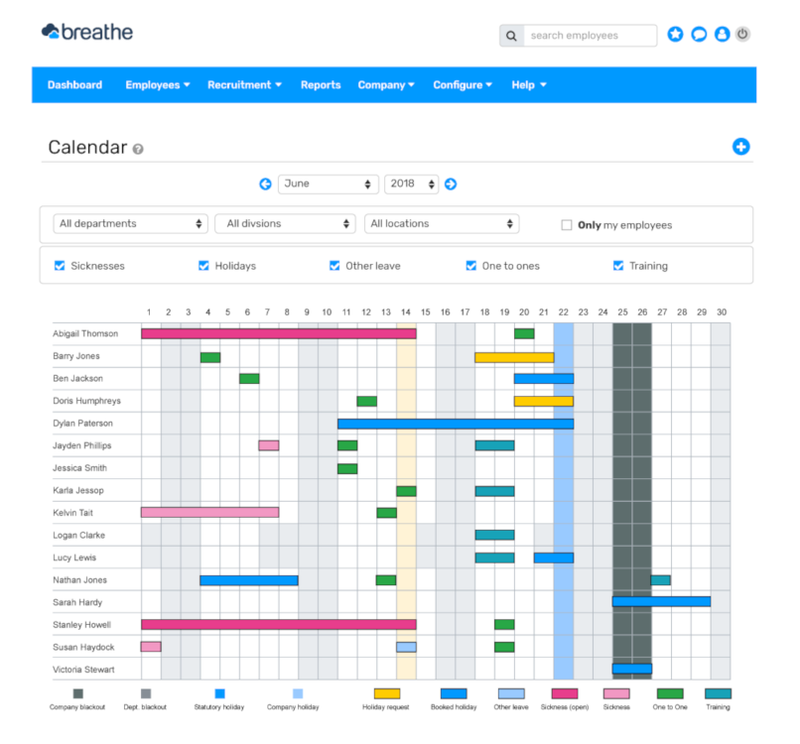 From booking a meeting to approving staff holidays, the calendar provides a centralised leave hub ideal for creating a smooth office workflow. Easily sync holidays with Google Calendar and Outlook 365. Visit our integrations page for more details. "I find this a time-saver and I love getting daily updates on holidays and other details."